Finally made it out to Honey Pig in Annandale, VA (just off Columbia Pike). Youjin stirrin’ up the meat! 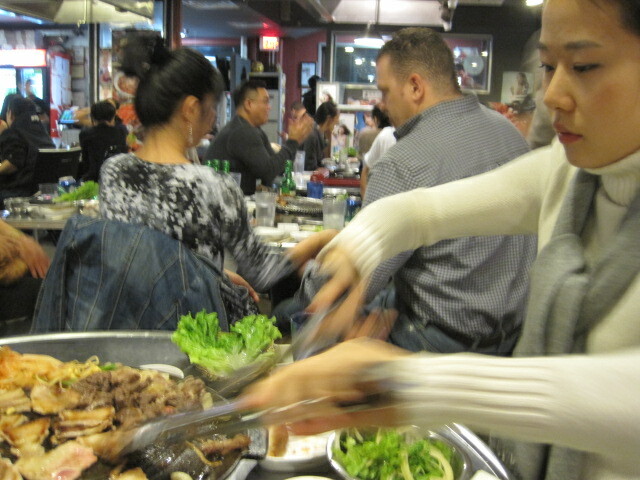 We had 4 types- spicy pork, regular pork, beef strips, and kalbi (short ribs). We also ordered mandoo (fried dumplings) and kimchi jjigae (kimchi stew). Ah, yes that’s some soju. ;] potent. It was all so good, and inside was so chaotic. 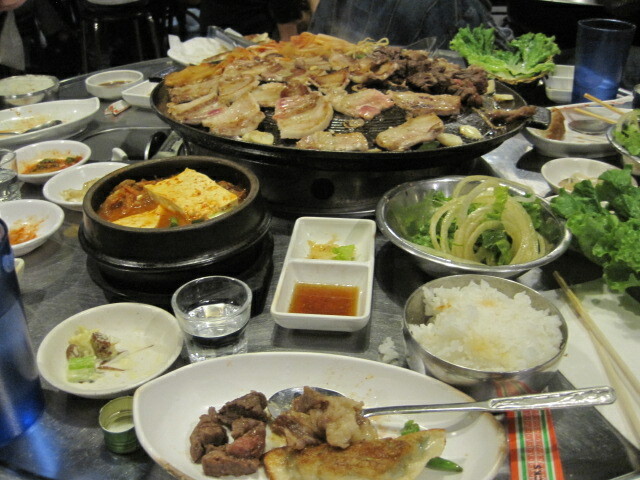 I really felt like we were in some hole in the wall in Seoul. No wonder this establishment has spread to Ellicott City. It took me a while to go out and try it. I would definitely go with a rowdy group of friends because this place is that kind of rowdy restaurant.